The findings were presented today at the annual Conference on Retroviruses and Opportunistic Infections in Boston by Dawn K. Smith, MD, MPH, MS, epidemiologist and medical officer in CDC's Division of HIV/AIDS Prevention. Dr. Smith presented the new CDC estimates of PrEP needs and an examination of available data on PrEP prescriptions from a national database of prescriptions filled by commercial pharmacies in the United States. "One of our most powerful tools for HIV prevention remains largely on pharmacy shelves," said Jonathan Mermin, MD, MPH, director of CDC's National Center for HIV/AIDS, Viral Hepatitis, STD, and TB Prevention. 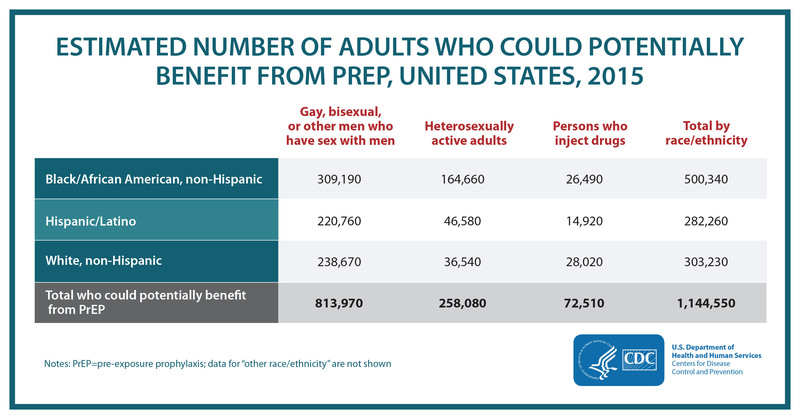 "PrEP can be a potent prescription that strengthens prevention options for people who are at high risk for HIV infection." "We know that in addition to risk behavior, the prevalence of HIV in communities plays an important role in a person's likelihood of infection," explained Smith. "We now have a powerful picture of where PrEP's potential impact could be greatest." "Closing gaps is an important step for PrEP," said Eugene McCray, MD, director of CDC's Division of HIV/AIDS Prevention. "CDC is committed to equipping providers and all people living with and at risk for HIV with the information and support needed to maximize the impact of PrEP and all proven strategies." 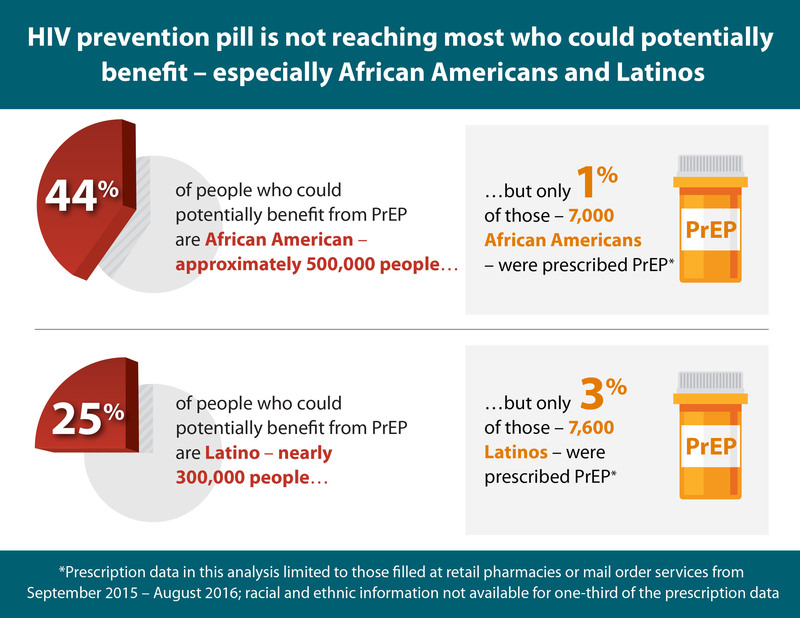 While PrEP can fill a critical gap in America's prevention efforts, all available HIV prevention strategies must be used to have the greatest impact on the epidemic. These include treatment to suppress the virus among people living with HIV; correct and consistent use of condoms; reducing risk behaviors; and ensuring people who inject drugs have access to comprehensive prevention services that support drug treatment, HIV testing and linkage to care, and sterile syringes and injection equipment.